We modelled everything against the pictures we had at the time but if something has been changed since then it wont be there. Yeah that picture is showing correctly, there were no marking in that area when we modelled it, they may of added them at a later date but a quick google doesnt show any changes to that area. 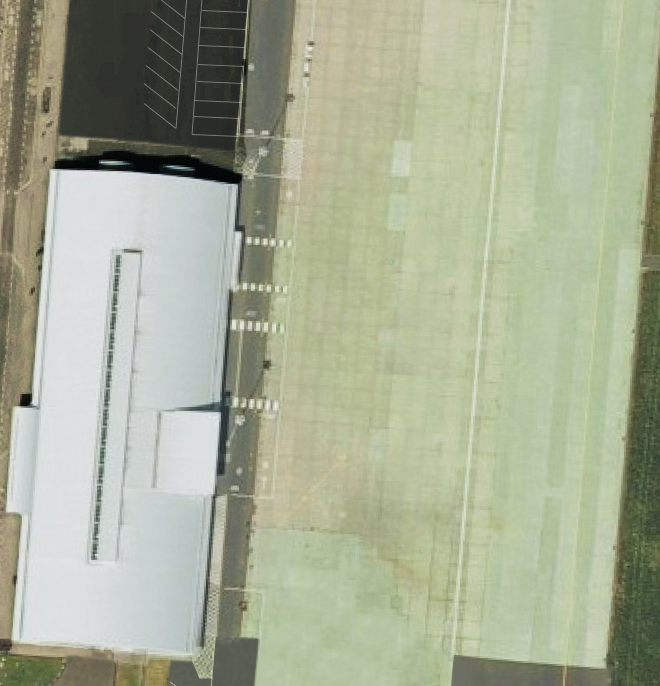 Below is 1 of the images we used to model the airport which shows no markings. my guess would be they just park where ever there is a gap they can fit in without hitting the building. As you can see, these are only a guide rather than a rule as the BA Airbus parked where it is wouldn't allow for another to be sat on that T-Bar. If you're using GSX, you can select a "stand" and you will then have a Marshaller assist you onto your parking spot.